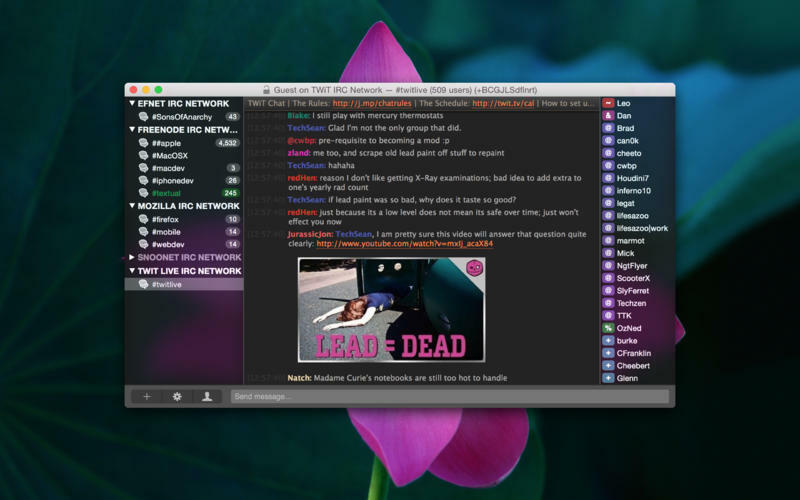 Textual is an IRC client created specifically for OS X. It was designed with simplicity in mind. Textual has taken the best of IRC and built it into a single client. • Textual includes two elegantly designed light and dark variants of the user interface to match all tastes. The user interface itself has been refined all the way down to the very last pixel. Everything has a place and a purpose and nothing is in the way to create clutter. • Textual supports very powerful modern technologies such as native IPv6, direct client-to-client file transfers, the latest IRCv3 specifications, client-side certificate authentication, and much, much more in a lightweight, easy to navigate, clutter free environment. • Textual values your privacy. Sensitive information such as passwords are maintained within the OS X keychain which is encrypted. Additionally, text based encryption with automatic key-exchange using industry proven standards is available. Furthermore, all source code is publicly available for auditing at any time.